On the occasion of the United Nations 25th Anniversary of the International Day of Older Persons: Sustainability and Age Inclusiveness in the Urban Environment, H.E. 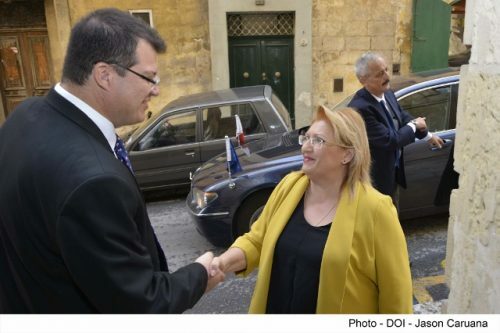 Marie-Louise Coleiro Preca paid a visit to the International Institute on Ageing, United Nations-Malta (INIA). INIA’s Director Dr. Marvin Formosa spoke about the mandate and vision of the Institute. Discussions evolved on how all entities are to collaborate, with the aim of raising further awareness on Dignity and Social Wellbeing in old age. The Institute’s mandate is namely to train personnel from low-income countries and from countries with economies in transition, who are working or who intend to work in the field of ageing or with older persons; to provide advocacy to low-income countries and to countries with economies in transition in matters concerning capacity building and to act as a practical bridge between high-income countries and low-income countries and countries with economies in transition in the area of information exchange in the field of ageing. To date INIA has trained 2110 candidates from 141 countries and moreover ‘in-situ’ programmes were held in 27 countries whereby another 3,100 candidates were trained. H.E. 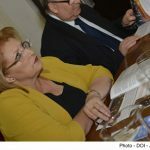 Marie-Louise Coleiro Preca said that the ‘President’s Foundation for the Wellbeing of Society’ has just launched its latest fora on ‘Ageing and Dignity’. The aim is the offer a safe space in building bridges between grassroots’ experience and academia. In fact the forum shall engage in regular consultation with the widest possible spectrum of relevant entities and stakeholders both at individual level and on a group level. She concluded that looks forward to a close collaboration between the forum and INIA. On behalf of INIA, Dr. Formosa thanked H.E. 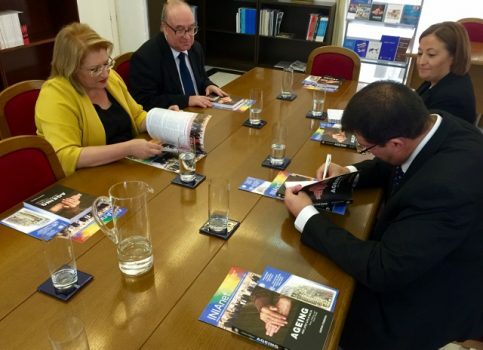 Marie-Louise Coleiro Preca for her visit and presented her with INIA’s latest book on ‘Ageing and later life in Malta: Issues, policies and future trends’, authored by Dr. Marvin Formosa himself.